White Eagle Aerospace recently returned to Dayton, OH where instructor/CEO J. Terry White held back-to-back professional short courses. 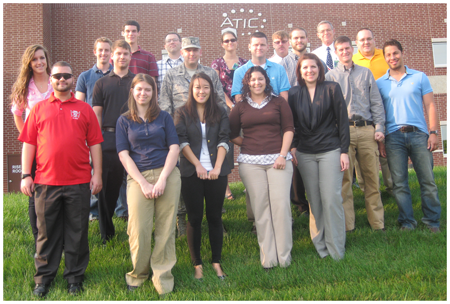 This represents the company’s third visit to Wright-Patterson Air Force Base in 2011. Earlier offerings include the Basic Missile Aerodynamics (BMA) short course held 23-26 May 2011 and the Fundamentals of Earth Reentry (FER) short course held 11-15 July 2011. CEO and Aerosciences Instructor J. Terry White opened the 2-week session with Advanced Missile Aerodynamics (AMA), held 15-18 August at the National Air & Space Intelligence Center (NASIC). The AMA course provides expert instruction in classic engineering-level prediction methodologies used in the estimation of missile and missile-like vehicle aerodynamics characteristics and is one of the most technically advanced courses currently offered by White Eagle Aerospace. On 22-25 August, J. Terry White taught his increasingly-popular Aerodynamics for Engineers (AFE) short course at the Advanced Technical Intelligence Center (ATIC). This course provides a fundamental, yet comprehensive, training experience in basic aerodynamic principles applicable to the subsonic, transonic, supersonic, and hypersonic flight regimes. White Eagle Aerospace is extremely grateful for the opportunity to serve the United States military and civilian personnel at Wright-Patterson Air Force Base. The WEA team would like to express sincere gratitude to each student in attendance and to a few key individuals who have been invaluable in facilitating our courses, namely: Mr. Nathan Setters, Ms. Jennifer Toth, Ms. Kathy Robey, and Ms. Aurea Rivera (Technical Director, NASIC Data Analysis Group). Fifty-five years ago this week, the USAF/Boeing KC-135A Stratotanker took to the skies for the first time. The jet-powered aircraft would go on to become the most famous military tanker in the history of aviation. The KC-135A Stratotanker was a derivative of the famous Boeing Model 367-80. The type was the only jet-powered aircraft designed specifically for the aerial refueling mission. 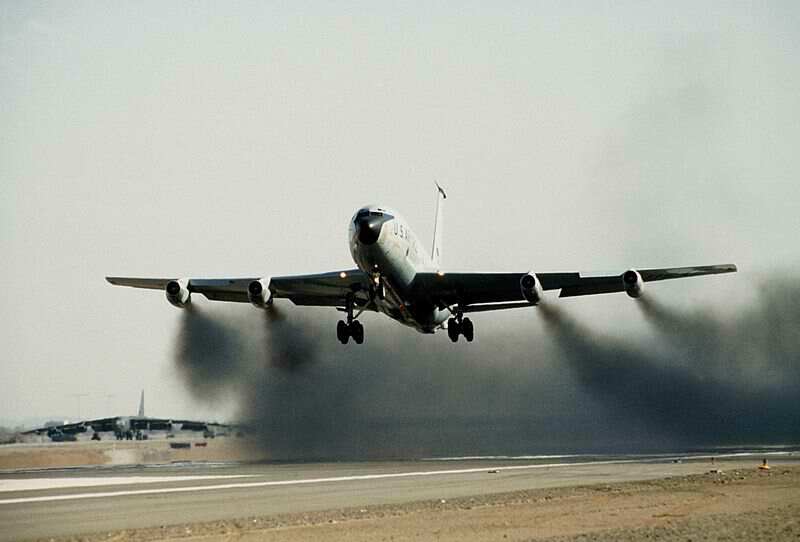 As such, it replaced the older and slower propeller-driven KC-97 Stratotanker. For the first 15 years of its operational life, the KC-135 was the only tanker flown by the Strategic Air Comman (SAC). The KC-135A measured 136.25 feet in length and had a wingspan of 130.8 feet. Gross take-off weight and empty weight were 297,000 lbs and 109,000 lbs, respectively. Four (4) wing pylon-mounted Pratt and Whitney J57-P-59W turbojets provided a sea level thrust of 58,000 lbs in afterburner. The aircraft was designed to have an unrefueled range of 4,000 miles, a cruise speed of 552 mph and an operational ceiling of 40,000 feet. Jet fuel was carried internally within six (6) wing tanks and four (4) fuselage tanks. All but 1,000 gallons of this fuel could be pumped to the receiver aircraft via an extendable boom located at the rear of the tanker. The KC-135 boom operator would lie in a prone position and actually flew the boom into the receiving aircraft’s fuel receptacle. On Friday, 31 August 1956, the first KC-135A Stratotanker production aircraft made its maiden flight from the Boeing airfield at Renton, Washington. Known as the “The City of Renton”, this aircraft was the first of 820 KC-135 aircraft that Boeing would ultimately produce. Roughly 90 percent of these production aircraft were true tankers while the remainder were employed as cargo transports and flying command posts. The service that the KC-135 has provided to our nation’s aerial warfighters has truly been astounding. For example, during nine years of the Vietnam conflict, KC-135s made 813,000 aerial refuelings of combat aircraft. In support of the Persian Gulf conflict, KC-135 tankers made 18,700 hookups and transferred 278,000,000 lbs of fuel. The KC-135 has evolved into numerous variants over the course of its long operational life. A variety of modifications have extended the service life of the KC-135 into its sixth decade. Key upgrades include reskinning the wings with an improved aluminum alloy and more powerful and fuel-efficient CFM-56 turbofans. Total sea level thrust is more than 90,000 lbs in afterburner. As a tribute to this venerable aircraft, her designers and her flight crews, we note here that the KC-135 Stratotanker remains the primary USAF aerial refueling aircraft to this very day. Fifty-seven years ago this month, USAF Major Arthur W. “Kit” Murray set a new world altitude record of 90,440 feet in the rocket-powered Bell X-1A. In doing so, Murray reported that he could detect the curvature of the Earth from the apex of his trajectory. The USAF/Bell X-1A was designed to explore flight beyond Mach 2. The craft measured 35.5 feet in length and had a wing span of 28 feet. Gross take-off weight was 16,500 pounds. Power was provided by an XLR-11 rocket motor which produced a maximum sea level thrust of 6,000 lbs. This powerplant burned 9,200 pounds of propellants (alcohol and liquid oxygen) in about 270 seconds of operation. Similar to other early rocket-powered X-aircraft such as the Bell XS-1, Douglas D-558-II, Bell X-2 and North American X-15, the X-1A flew two basic types of high performance missions. That is, the bulk of the vehicle’s propulsive energy was directed either in the horizontal or in the vertical. The former was known as the speed mission while the latter was called the altitude mission. 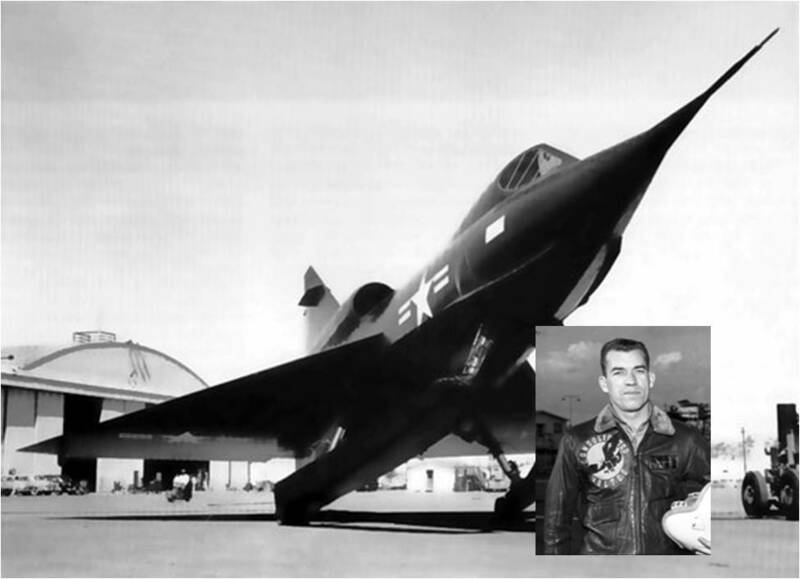 On Saturday, 12 December 1953, USAF Major Charles E. “Chuck” Yeager flew the X-1A (S/N 48-1384) to an unofficial speed record of 1,650 mph (Mach 2.44). Moments after doing so, the X-1A went divergent in all three axes. The aircraft tumbled and gyrated through the sky. Control inputs had no effect. Yeager was in serious trouble. He could not control his aircraft and punching-out was not an option. The X-1A had no ejection seat. Chuck Yeager took a tremendous physical and emotional beating for more than 70 seconds as the X-1A wildly tumbled. His helmet hit the canopy and cracked it. He struck the control column so hard that it was physically bent. His frantic air-to-ground communications were distinctly those of a man who was convinced that he was about to die. As the X-1A tumbled, it decelerated and lost altitude. At 33,000 feet, a battered and groggy Yeager found himself in an inverted spin. The aircraft suddenly fell into a normal spin from which Yeager recovered at 25,000 feet over the Tehachapi Mountains situated northwest of Edwards. Somehow, Yeager managed to get himself and the X-1A back home intact. The culprit in Yeager’s wide ride was the then little-known phenomenon identified as roll inertial coupling. That is, inertial moments produced by gyroscopic and centripetal accelerations overwhelmed aerodynamic control moments and thus caused the aircraft to depart controlled flight. Roll rate was the critical mechanism since it coupled pitch and yaw motion. In the aftermath of Yeager’s near-death experience in the X-1A, the Air Force ceased flying speed missions with the aircraft. Instead, a series of flights followed in which the goal was to extract maximum altitude performance from the aircraft. USAF Major Arthur W. “Kit” Murray was assigned as the Project Pilot for these missions. On Thursday, 26 August 1954, Kit Murray took the X-1A (S/N 48-1384) to a maximum altitude of 90,440 feet. This was new FAI record. Murray also ran into the same roll inertial coupling phenomena as Yeager. However, his experience was less tramatic than was Yeager’s. This was partly due to the fact that Murray had the benefit of learning from Yeager’s flight. This allowed him to both anticipate and know how to correct for this flight disturbance. Murray’s achievement in the X-1A meant that the X-1A held the records for both maximum speed and altitude for manned aircraft. It did so until both records were eclipsed by the Bell X-2 in September of 1956. Kit Murray was a highly accomplished test pilot who never received the public adulation and notoreity that Chuck Yeager did. He retired from the Air Force in 1960 after serving for 20 years in the military. Murray went on to a very successful career in engineering following his military service. Kit Murray lived to the age of 92 and passed from this earthly scene on Monday, 25 July 2011. Fifty-four years ago this week, USAF Major David G. Simons, MD successfully completed the Manhigh II high-altitude balloon mission. Simons’ epic flight lasted 32 hours and established an altitude record of 101,516 feet. The Manhigh target altitude was approximately 100,000 feet above sea level. A helium-filled polyethylene balloon, just 0.0015-inches thick and inflatable to a maximum volume of over 3-million cubic feet, carried the Manhigh gondola into the stratosphere. At float altitude, this balloon expanded to a diameter of about 200 feet. The flight of Manhigh I took place on Sunday, 02 June 1957 with USAF Captain Joseph W. Kittinger as pilot. Kittinger reached an altitude of 95,200 feet. Though successful in the main, the mission was cut short due to rapid depletion of the oxygen supply. This was caused by accidental crossing of the oxygen supply and vent lines prior to flight. Total mission time was 6 hours and 32 minutes. Manhigh II was launched at 1422 UTC from Portmouth Mine in Crosby, Minnesota on Sunday, 18 August 1957. USAF Major David G. Simons, a medical doctor, flew this nominally 24-hour mission. Simons uneventful ascent to Flight Level 1,000 took 2 hours and 18 minutes. A maximum altitude of 101,516 feet was ultimately recorded during Manhigh II. Simons’ flight was taxing both physically and mentally. Cabin environmental management issues and the frequent need to monitor and control atitude so as to remain sufficiently above thunderstorm activity were the primary stressors. However, the pilot dutifully went about conducting a variety of more than 25 different scientific experiments. Simon’s flight came to a successful conclusion when his gondola landed in an alfalfa field near Frederick, South Dakota at 22:32 UTC on Monday, 19 August 1957. By way of postscript, Manhigh III was successfully conducted on Wednesday, 08 October 1958. Launch occurred at Holloman AFB, New Mexico with USAF Lt Clifton M. McClure as pilot. The mission’s success was largely due to McClure’s super-human efforts in overcoming a variety of life-threatening problems. However, that story will be reserved for another day. The contributions made to aero medical science by the Manhigh Program were significant. Indeed, information gleaned from this flight research effort tangibly influenced future manned flight including the X-15 Program, Project Excelsior and Project Mercury. To get a fuller appreciation for Manhigh’s significance in aerospace history, the interested reader is invited to read Simons 1962 book aptly entitled “Manhigh”. David Simons continued to serve his country as an officer in the United States Air Force for another 8 years following his Manhigh II flight. He retired from the junior service in 1965 as a Lieutenant Colonel. In civilian life, he went on to become an internationally-recognized expert in the treatment of chronic pain. In April of 2010, Simons left this frail existence while in his 88th year. Manufacturing Training and White Eagle Aerospace announced today that they are offering Root Cause Failure Analysis training on September 22 and 23 in Ontario, California. Press Release – Aug 10,2011 – Manufacturing Training and White Eagle Aerospace announced today that they are presenting a 2-day seminar on Root Cause Failure Analysis on September 22 and 23 in Ontario, California. Joseph Berk, author of Systems Failure Analysis (ASM International, 2010), will present the training. Above: case studies from the WEA RCFA training program. Berk is the author of nine books on the assurance technologies and related subjects. He is a widely-respected consultant and expert witness who teaches at the University of Kansas and the California State Polytechnic University. White Eagle Aerospace (www.WhiteEagleAerospace.com) is the premier US aerospace training organization, with aero-science courses including Engineering Aerodynamics, Gas Dynamics, Aircraft Performance, Hypersonics, Atmospheric Entry and Missile Aerodynamics, Electro Optical/Infrared Sensors, Directional Infrared Counter Measures, and Unmanned Aerial Vehicles/Unmanned Aircraft Systems. White Eagle Aerospace is expanding their course offerings in the manufacturing optimization area, with new courses including Root Cause Failure Analysis, Cost Reduction and Optimization, and Delivery Performance Improvement. White Eagle Aerospace will announce dates and training locations for the Cost Reduction and Optimization course and the Delivery Performance Improvement course in the near future. For additional information, please contact White Eagle Aerospace at 520-219-0526. Manufacturing Training offers training, consulting, and expert witness services in the areas of cost reduction, quality improvement, and failure analysis for manufacturers. 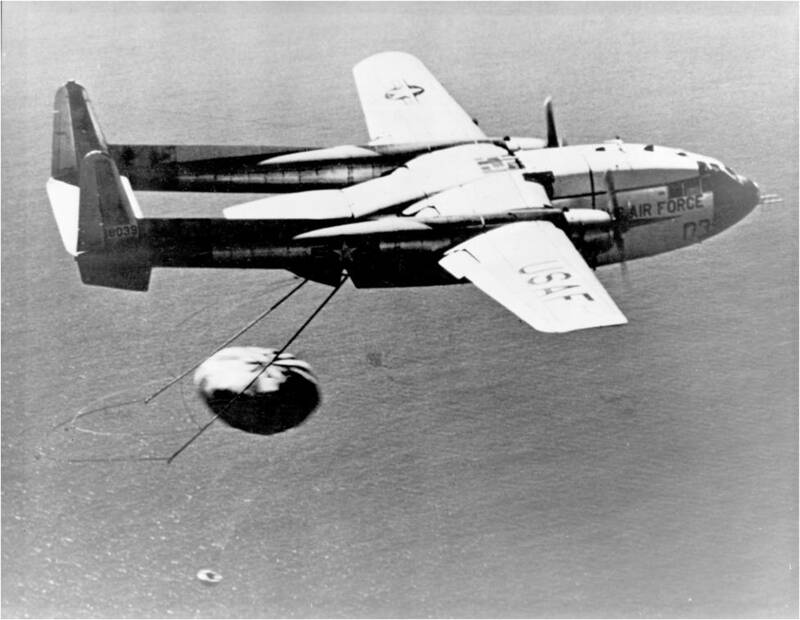 Fifty-one years ago this month, an United States Air Force C-119 Flying Boxcar aircraft successfully performed the first mid-air retrieval of a reentry body as it was returning from space. The recovered vehicle was named Discoverer XIV. Corona was a covert reconnaissance program operated by the United States government from June of 1959 to May of 1972. The national security mission was to photographically surveil denied territory from orbit. The exposed film was then returned to Earth via a reentry capsule and recovered for subsequent development and photogrammetric analysis. An evolutionary series of satellites, code named Key Hole (KH), were flown during the Corona Program. A total of 144 satellites were flown over the course of the surveillance effort; 71% of which provided useful results. Although not addressed here, the history of the development of the Key Hole camera system is a fascinating story in its own right. A Corona satellite orbited the Earth at altitudes between 89 and 250 nautical miles. From its perch high in the heavens, the orbiting eye-in-the-sky exposed almost 6 statute miles of film during a typical mission. The camera systems used early in the Corona Program provided a target resolution of 25 feet. Later systems delivered a resolution of 6 feet. The Discoverer Program served as a public front for Corona. Labled as a space technology development program, Discoverer was in fact used to fly the early Key Hole camera systems. The satellite also served as the means to develop and refine mid-air retrieval techniques for recovery of the Corona film canister. The last Discoverer mission (Discoverer XXXIX) was flown in April of 1962. Successful recovery of the Corona film canister from orbit required precise targeting of the reentry vehicle. This would put the recovery aircraft in a position to make a mid-air retrieval. 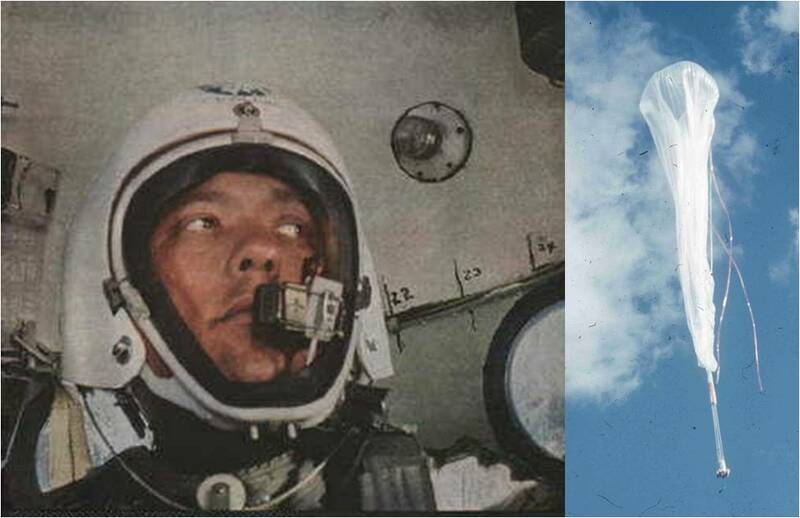 A special line suspension system deployed under the aircraft was used to snag the reentry vehicle as it slowly decended on its parachute. Once retrieved in this manner, the entire assemblage was reeled into the back of the recovery aircraft. Success did not come easy for the Discoverer Program. The first dozen missions were failures for one reason or another. Either the satellite failed to achieve orbit or the recovery operation was unsuccessful. However, the importance of the mission was such that development flights continued. Successful recovery of a Discoverer reentry capsule finally came on Thursday, 11 August 1960. Discoverer XIII had been boosted into a polar orbit by a Thor-Agena launch vehicle the previous day and had orbited the Earth 17 times before its return from space. Despite excellent placement into the target area, successful mid-air retrieval of the reentry vehicle did not occur. Navy frogmen had to fish Discoverer XIII out of the water. Discoverer XIV was launched into space by a Thor-Agena launch vehicle on Thursday, 18 August 1960. After 17 polar orbits, the reentry vehicle returned to Earth on Friday, 19 August 1960. The mission was very successful including the mid-air retrieval operation. Interestingly, it wasn’t until the 3rd pass that the C-119 Flying Box Car from the 6593rd Test Squadron at Hickam AFB, Hawaii successfully made the grab. Nevertheless, Discoverer XIV became the first reentry vehicle in history to be recovered via mid-air retrieval. The Corona Program went on to a highly successful operational life. The information gathered therein provided a tangible check on communist military activity and measurably improved the security of not only the United States, but that of the entire free world. Indeed, Corona was a key part of the national security apparatus at a time when the nuclear damocles hung in a particularly menacing manner over the heads of all those who hallow freedom. Fifty-seven years ago this week, the USN/Convair YF2Y-1 Sea Dart became the first and only seaplane ever to exceed the speed of sound. 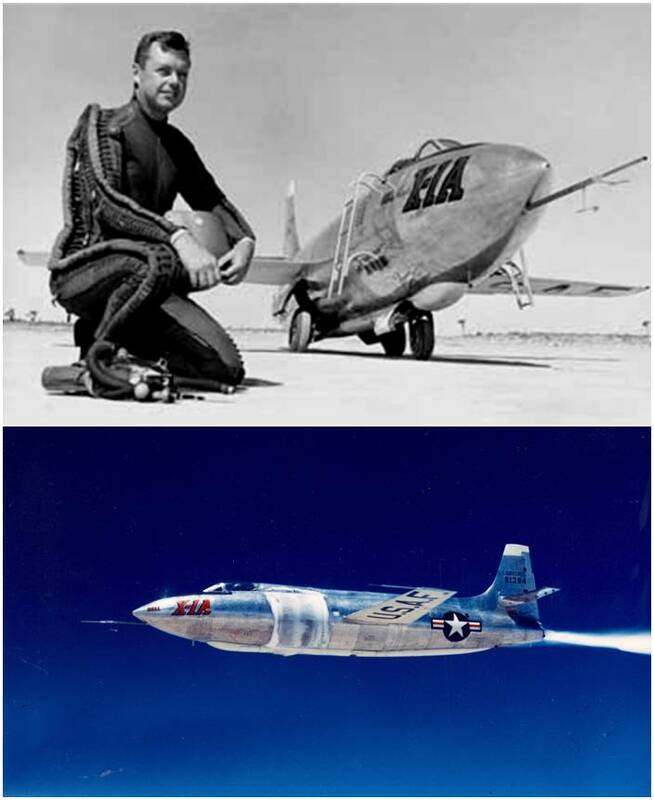 Convair test pilot Charles E. Richbourg was at the controls of the experimental sea-based fighter. In 1948, the United States was looking to develop a sea-based supersonic fighter as a means projecting naval airpower. However, few in the Navy at that time believed that such as aircraft could be operated successfully from an aircraft carrier. Thus, the new aircraft would need to be a seaplane That is, it would take-off and land in the ocean. Consolidated Vultee Aircraft (Convair) won a competition for a Navy contract to build and flight test a pair of supersonic seaplane prototypes. Convair’s winning airframe featured a delta wing, a large triangular vertical tail, twin afterburning turbojets and dual retractable hydro-skis. Known as the XFY2-1 Sea Dart, the two protoype aircraft were assigned BuAer tail numbers 137634 and 137635, respectively. The Sea Dart’s nominal specifications included a length of 52.5 ft, a wingspan of 33.7 ft and an empty weight of 12,625 lbs. The single-place aircraft was initially powered by twin Westinghouse J46-WE-2 turbojets. Each of these non-afterburning powerplants produced a meager 3,400 lbs of sea level thrust. This led to the aircraft being significantly underpowered. The XF2Y-1 design maximum speed was 825 mph, a rate of climb of 17,000 ft/min and a service ceiling of nearly 55,000 ft. The type’s take-off speed from the water was approximately 145 mph. Although the prototypes were never outfitted with armament, an operational Sea Dart reportdely would have had a mix of 4 x 20mm cannon, a bevy of 2.75-inch unguided rockets and a pair of air-to-air missiles. Convair test pilot Ellis D. Shannon made the official first flight of XF2Y-1 Ship No. 1 (BuAer 137634) on Thursday, 09 April 1953. San Diego Bay served as the take-off and landing site. Shannon quickly determined that the XF2Y-1 was indeed underpowered. The aircraft’s hydro-skis also vibrated badly during ocean take-off and landing. The result was that the XF2Y-1 was quite challenging to control during high-speed ocean surface operations. The second Sea Dart to fly was the first YF2Y-1 (BuAer 135762)aircraft. The main difference between the YF2Y-1 and XF2Y-1 was the propulsion system. Specifically, the YF2Y-1 was powered by afterburning J46 turbojets and its air induction and exhaust systems were configured differently. With the introduction of the YF2Y-1, the XF2Y-1 was cancelled by the Navy. Flight testing of the YF2Y-1 Sea Dart began in early 1954. Convair test pilot Charles E. Richbourg was assigned to make the initial flights in Ship No. 1. The zenith of the YF2Y-1’s flight test program occurred on Tuesday, 03 August 1954 when Richbourg flew the seaplane faster than the speed of sound while passing through 34,000 feet in a shallow dive. This event marked the first and only time in aviation history that a seaplane exceeded Mach 1. The Sea Dart’s bright moment of achievement was followed several months later by the program’s darkest day. On Thursday, 04 November 1954, Richbourg was performing a XF2Y-1 flight demonstration for Navy leadership and members of the press over San Diego Bay when structural failure of the aircraft’s left wing caused it to distintegrate in flight. Rescue forces quickly found Richbourg and pulled him out of the water. However, the 31 year-old pilot did not survive. The loss of the first YF2Y-1 came at a time when the Navy was already losing interest in the Sea Dart Program. The service had rethought the notion of operating a high-performance aircraft from its carrier force and now reckoned that such operations were indeed possible. These realities, coupled with the Sea Dart’s seemingly unsolvable hydro-ski vibration problems, effectively sounded the death knell of Convair’s supersonic seaplane concept. Notwithstanding the above, it would not be until the fall of 1957 that the Sea Dart Program would officially come to an end. Actually, three (3) more YF2Y-1 airframes were manufactured. Sea Dart Ship No. 3 (BuAer 13563) flew for the first time on Friday, 04 March 1955. This aircraft was used mainly for flight testing various hydro-ski arrangements. Sea Dart Ship No. 4 (BuAer 135764) and Ship No. 5 (BuAer 135765) never flew.